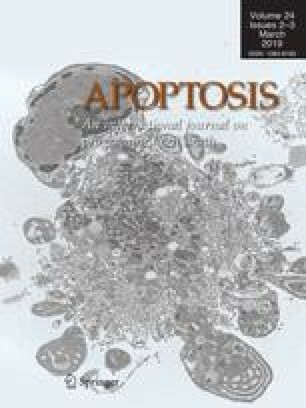 Induction of apoptosis by the death ligand TRAIL might be a promising therapeutic approach in cancer therapy. However, since not all tumor cells are sensitive to TRAIL, there is a need for the development of strategies to overcome TRAIL-resistance. The results of the present study show that the anti-diabetic drug troglitazone sensitizes human glioma and neuroblastoma cells to TRAIL-induced apoptosis. This process is accompanied by a substantial increase of active caspase 8 and active caspase 3, but it is independent of troglitazone's effects on the nuclear receptor PPAR-γ. Troglitazone induces a pronounced reduction in protein expression levels of the anti-apoptotic FLICE-inhibitory protein (FLIP) without affecting FLIP mRNA levels. Further, protein and mRNA expression levels of the anti-apoptotic protein Survivin significantly decrease upon treatment with troglitazone. Moreover, sensitization to TRAIL is partly accompanied by an up-regulation of the TRAIL receptor, TRAIL-R2. A combined treatment with troglitazone and TRAIL might be a promising experimental therapy because troglitazone sensitizes tumor cells to TRAIL-induced apoptosis via various mechanisms, thereby minimizing the risk of acquired tumor cell resistance. This work was supported by a grant from the Deutsche Krebshilfe (German Cancer Aid, Max Eder Program).